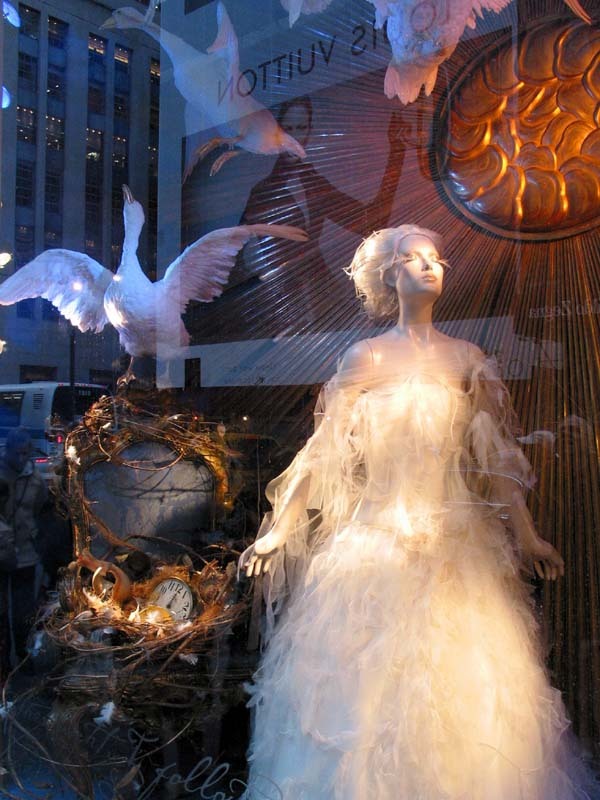 The Fifth Avenue window of Bergdorf Goodman store. 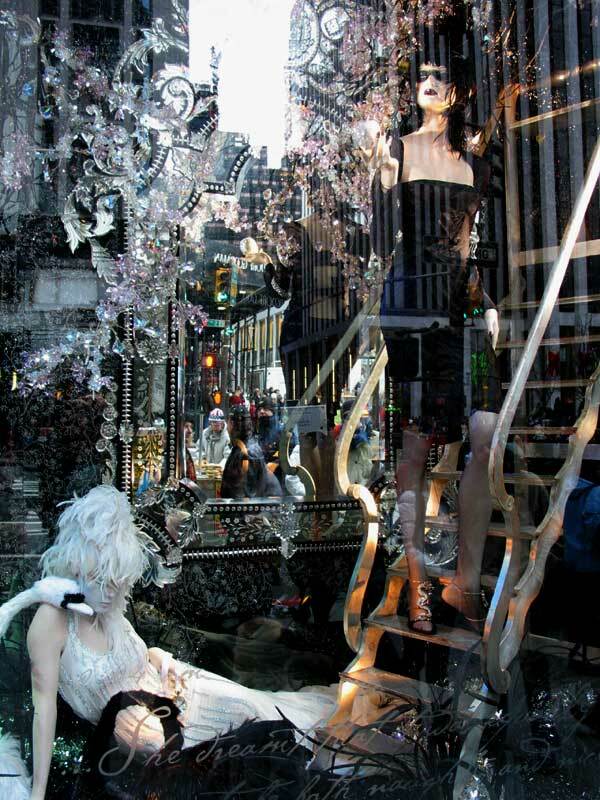 Another window of Bergdorf Goodman, with J Lo promoting Louis Vuitton handbags across Fifth Avenue. 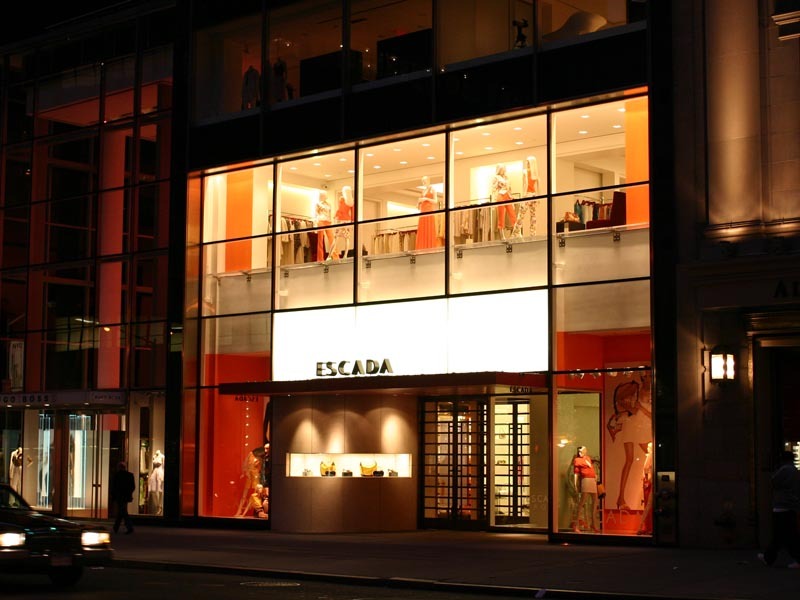 Escada store on Fifth Avenue. Excellent - I love shots like these.